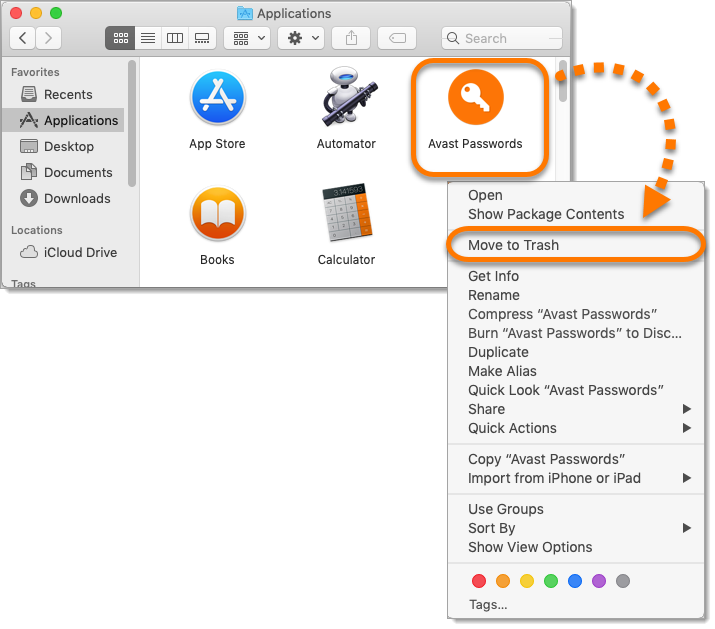 Avast Passwords can only be installed with Avast Security for Mac, or separately via the Mac App Store. 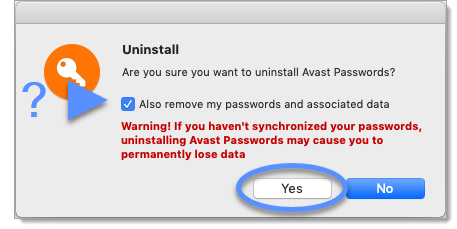 To remove Avast Passwords from your Mac, refer to the relevant section below, depending on how you initially installed the application. Click the Avast Passwords icon in the top-right corner of the menu bar. 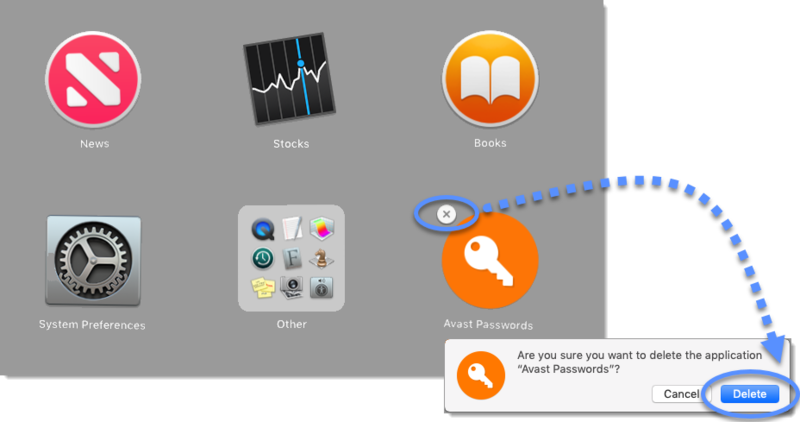 Click Go in the menu bar, select Applications, then double-click the Avast Passwords icon. Ticking the box next to Also remove my passwords and associated data results in permanent loss of data if Passwords is not synchronized with another device. 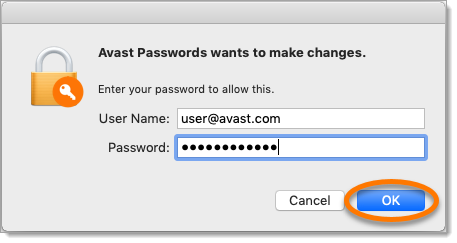 Avast Passwords is no longer installed on your Mac. Click the Launchpad icon in the left side of your Dock. Click and hold the Avast Passwords icon until the X in the top-left corner of the icon appears. Click the X in the Passwords tile, then select Delete to confirm. 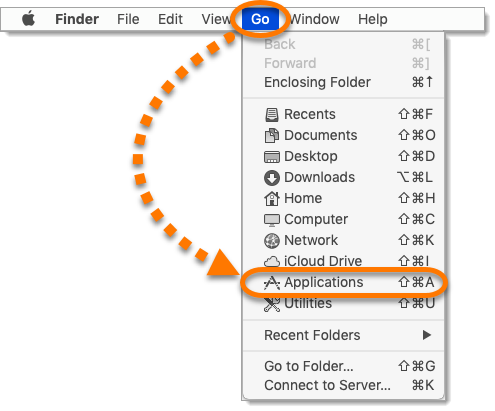 Click Go in the menu bar and select Applications. 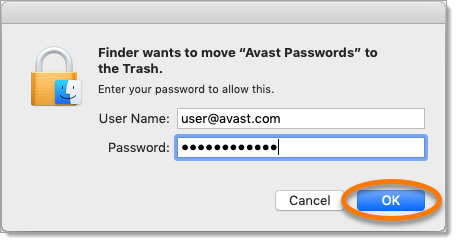 Right-click the Avast Passwords icon, and select Move to Trash. Wait while Passwords is moved to the Trash. Right-click the Trash icon in the right side of your Dock, then select Empty Trash.